Divorce is a very unsettling process. As unsatisfactory as your marriage may have been, it has been the framework of your life. Dissolving your marriage can create opportunities, but it can also raise doubts. You may wonder how you will be able to support yourself after divorce. Or you may have concerns about your ability to pay for spousal support. For more than 20 years, the Law Offices of Adrian H. Altshuler & Associates has counseled divorce clients on issues pertaining to alimony/spousal support. We provide valuable legal guidance and effective representation in the negotiation and litigation of fair support payments. When do courts allow spousal support/alimony? A prenuptial or postnuptial agreement may stipulate spousal support payments in the event of divorce. If you feel you cannot live on the amount of alimony stipulated, you must make a case to the court to invalidate the agreement. Generally, you must prove that you signed under duress, that the other party committed fraud in the formation of the agreement, or that the agreement is so one-sided as to be unconscionable. 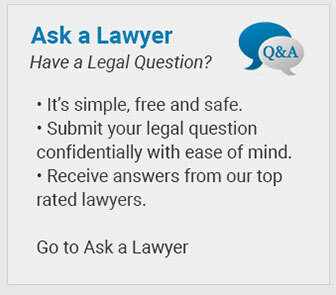 A Murfreesboro family lawyer familiar with prenups can evaluate your particular circumstances. Couples who do not wish to leave the matter of alimony to the court may work with a child and spousal support lawyer to reach their own agreement about spousal support. Both parties sign the agreement and present it to the court for approval. An alimony attorney at Altshuler & Associates can help you negotiate a fair, lasting agreement. The Law Offices of Adrian H. Altshuler & Associates serves Williamson County, and central Tennessee. For reliable legal guidance on spousal support matters, call (615) 412-1121 or use our convenient online form to schedule your free initial consultation.